212 in stock Need More ? With illustrations by Edward Landseer, Daniel Maclise, Clarkson Stanfield, Frank Stone, Richard Doyle, John Leech and John Tenniel, and with a new Introduction by Cedric Watts, Research Professor of English, University of Sussex. 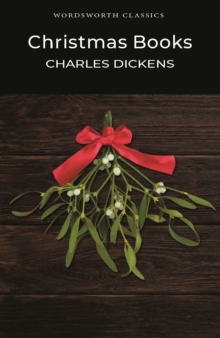 In these five long stories, written specifically for Christmas, Dickens combines his concern for social ills with the myths and memories of childhood and traditional seasonal lore. A Christmas Carol, the first of the selection, has become a touchstone of English festive fiction and an enduring favourite internationally. Repeatedly adapted, parodied, staged and filmed, this richly influential tale is powerfully vivid and moving. The other stories, The Chimes, The Cricket on the Hearth, The Battle of Life and The Haunted Man, blend whimsy, sentiment, comedy, satire, the didactic and the fantastic, developing resourcefully the theme of individual and social regeneration.